Coastal Saltmarsh is an endangered vegetation community. 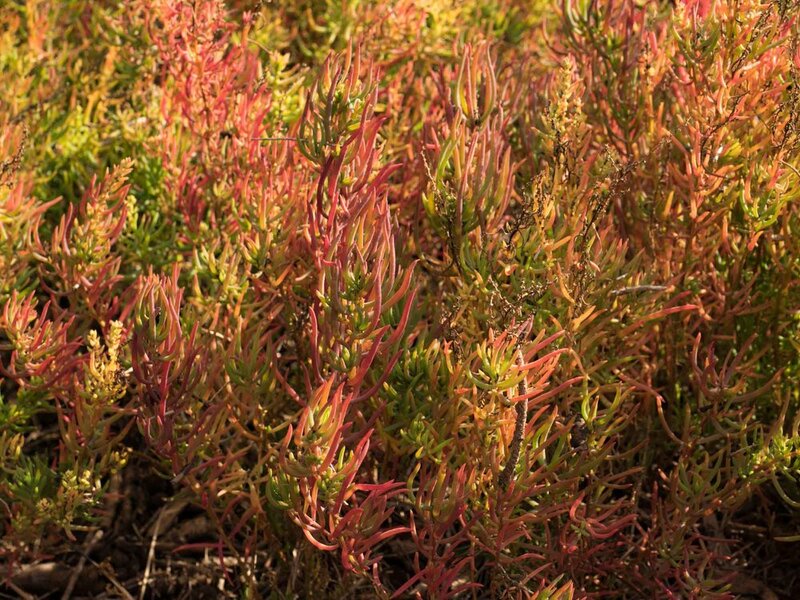 Learn more about these special plants from local botanist Jackie Miles, with this video tour of Bermagui saltmarsh communities. Saltmarsh communities dominate the upper intertidal zone, as few other plant species can survive the harsh hypersaline conditions found there. This is the area above most regular high tide marks, but which is intermittently inundated by medium to large, and 'king' tides. Saltmarsh act like natural filters, slowing down and trapping sediments and nutrients from entering the water column. Yet Saltmarsh is fragile, and easily damaged. Saltmarsh supports a range of birdlife including migratory species like the Bar-tailed Godwit (Limosa lapponica). Bar-tailed Godwit flock, Merimbula. Recorded in NatureMapr by Steve Burrows, July 2017. Saltmarsh plant communities are also important for many fish and invertebrate species, as nursery habitats and as feeding grounds. Mictyris longicarpus (Soldier Crab), Bermagui. Recorded on NatureMapr by Max Campbell, April 2018. 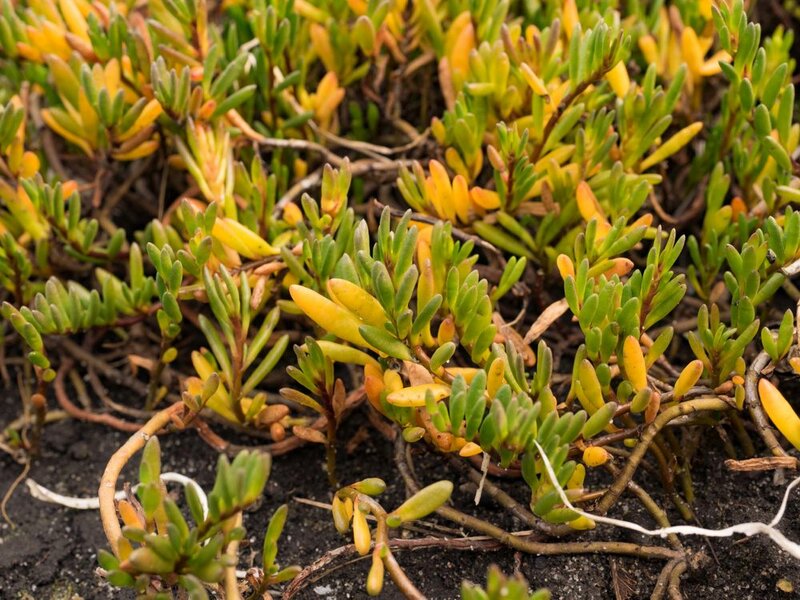 Common characteristics of saltmarsh include a mix of salt tolerant groundcovers, grasses and succulent herbs. Like many communities on the South Coast of NSW, Bermagui is fortunate to have several areas of coastal saltmarsh vegetation - and some of it in the middle of the town! In terms of plant identification challenges, Saltmarsh is not so very difficult. After all, there are not very many species able to cope with the hyper saline and variable environment of the intertidal region. With a little familiarity, we can all become better at recognising the signature Saltmarsh plant species – and thereby help to locate and protect these special places. Bermagui Saltmarsh is home to two mangrove species: River Mangrove (Aegiceras corniculatum), and the taller Grey Mangrove (Avicennia marina). This zone includes the most iconic of the Saltmarsh plants, Samphire. But that's not the only special species to grow here. One of them - Wilsonia backhousei - is a listed threatened species in NSW. Here, alongside Bermagui River, Wilsonia backhousei forms an almost lawn-like dense ground cover. At the 'top' of the Saltmarsh region – a zone flooded by seawater only rarely – grow several taller plants, along with various low-growing grasses and forbs. At the top of the sedge zone, the first large trees appear. Swamp Oak (Casuarina glauca) is actually the principal species of another endangered ecological community, the 'Swamp Oak Floodplain'. Coastal Saltmarsh – DPI Primefact 1256 ... an excellent 16 page document (download pdf). Further enquiries about print copies or related legislation: Jillian Reynolds, Fisheries Manager, DPI (Aquatic Ecosystems), 4 Woollamia Road, PO Box 97, Huskisson NSW, 2540. Geoff Sainty, John Hosking, Geoff Carr, Paul Adam (eds), 2012. Estuary Plants and What’s Happening to Them in South-East Australia, Sainty and Associates P/L, NSW. CSIRO Publishing. This book includes chapters on estuary plants (saltmarsh, seagrass, etc), on restoration and reconstruction, case studies, mosquitoes, community efforts, etc - 650pp. The material in this feature was prepared at the conclusion of a very successful Saltmarsh Biodiversity Workshop held in Bermagui on 27th June, 2018. Jackie Miles led a walking tour of two Saltmarsh areas, explaining the ecology and identifying plant species. The Saltmarsh Biodiversity Workshop was organised by Andrew Morrison (Bega Valley Shire Council), , and hosted by Danie Ondinea from the Friends of Bermagui Saltmarsh group.